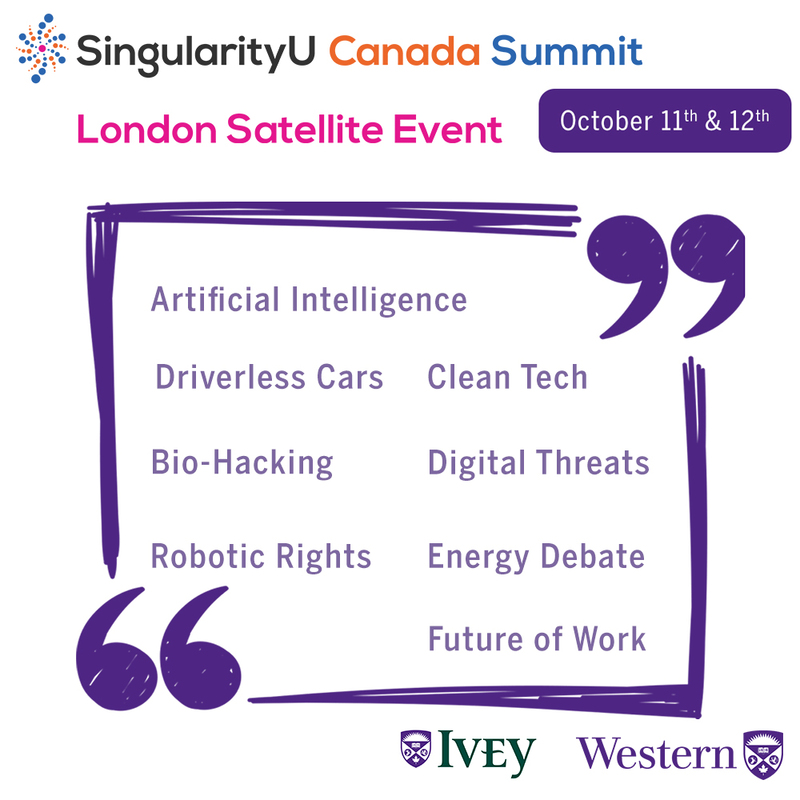 Western and Ivey are excited to announce their partnership with the SingularityU Canada Summit. On October 11 and 12 discover the world's breakthrough technologies. Join others who are driven to solve humanity's major challenges. 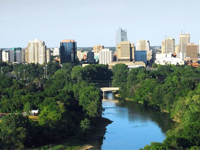 Hear about the future of tech from globally recognized presenters. Explore the companies who are building the technology driving exponential change. Note: attendees who present a valid student card will be refunded the ticket price (minus processing fees).